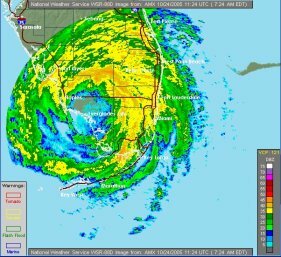 Tom and I originally wrote “What to Do ‘til the Cavalry Comes" during the hurricane season of 2005, the most active Atlantic hurricane season in recorded history. 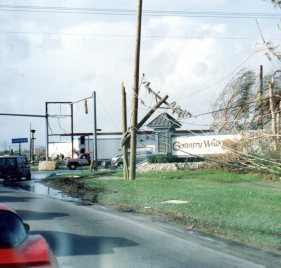 The following year brought many questions – one being how to reduce the number of people waiting for assistance in the FEMA lines. Our combined backgrounds led us to helping people prepare. 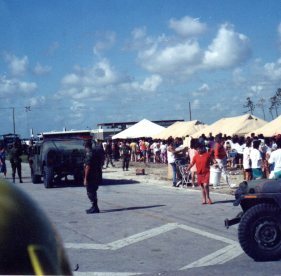 The title to our preparedness guide comes from a quote made by former Dade-County Emergency Manager, Kate Hale who one week after Hurricane Andrew destroyed Homestead, Florida – publicly queried President George W. Bush, “Where the hell’s the cavalry on this one…?” Her frustration was palpable as neither the Florida governor nor the President of the United States had acted quickly enough to help the hurricane’s victims in South Florida. 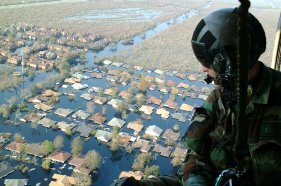 I’ll take a second to remind you of the debacle in New Orleans after Hurricane Katrina made landfall in 2005, and the consternation over FEMA’s response to that category five disaster as well. The premise of this guide is to give everyone a base – a starting point to develop their own family plan. You see, everyone needs a plan – however – everyone’s needs are different! 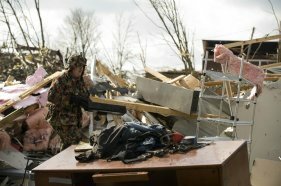 While we tried to give basic information on a multitude of situations, we stress the basics for any disaster and those are – food, water, shelter – PLUS your personal needs – daily meds, individual or special care requirements. Tom Van Hare updated “What to Do…” in 2017 and its available now as a Kindle download – and our website shares all the checklists that are in the guide! Download a copy to your cell phone or other device for quick reference in an emergency, or save it to a memory stick, that way you’ll always have a ready reference guide in your possession and put an extra in your bail-out bag! 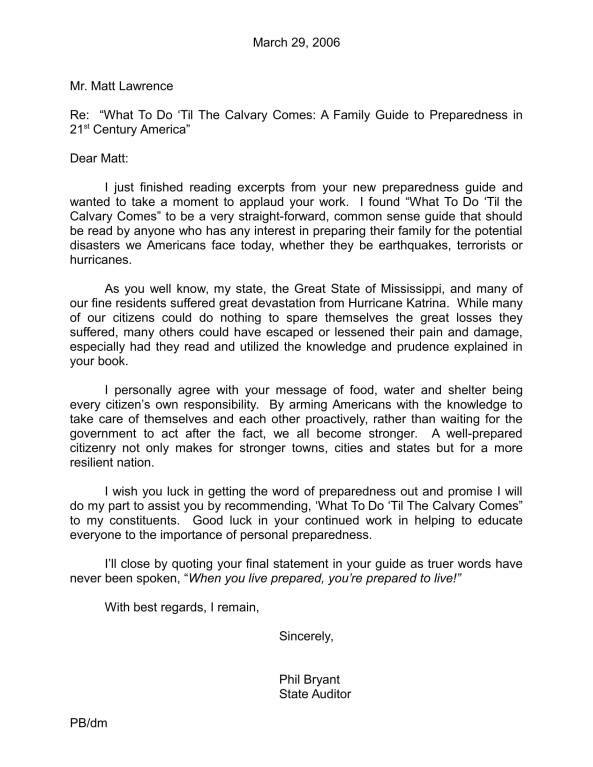 When we first published “What to Do ‘til The Cavalry Comes”, I had a reviewer write, “Nothing you don’t already know!” That’s correct — preparing is not rocket science. 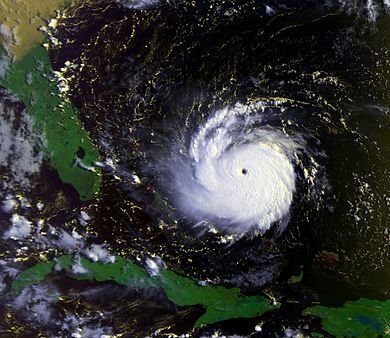 Hurricane Andrew 8.24.92. We need help. 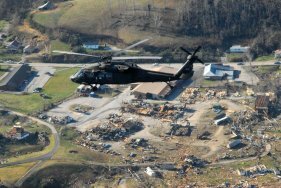 Helicopters are usually the first signs that help is on the way in the wake of a disaster. 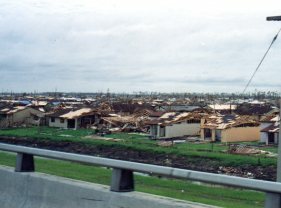 Hurricane Andrew 8.24.92. 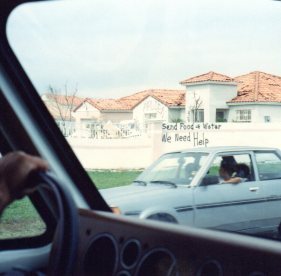 FEMA assistance. 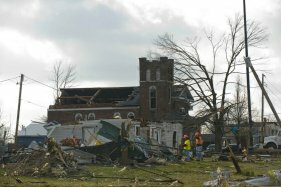 During clean up, it is always helpful to look through debris for things that may be of use during immediate recovery. 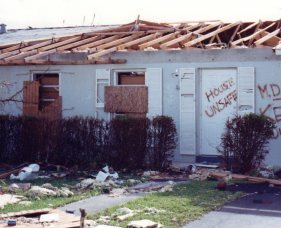 Hurricane Andrew 8.24.92. house unsafe. 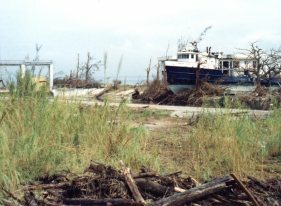 Large boat moved inland Hurricane Andrew 8.24.92. 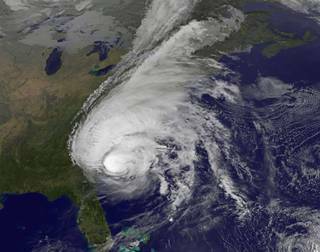 "Matt is an excellent speaker on how to prepare for a disaster. I have had him on my morning shows for the past 5 years, talking about hurricanes, earthquakes, fires, etc. He is an excellent on air interview, and people love to get his books and supplies and learn how to get prepared. Matt is an eye opener and really keeps the audience engaged! Anyone who is seeking knowledge in any of the areas that Matt speaks on will not be disappointed. Just in setting up the interview via phone, I knew that I had found gold!"